$ Daddy Rich $ - NEW$ update for my PATIENT fans!!!! $ DADDY RICH $ is back in the saddle again! 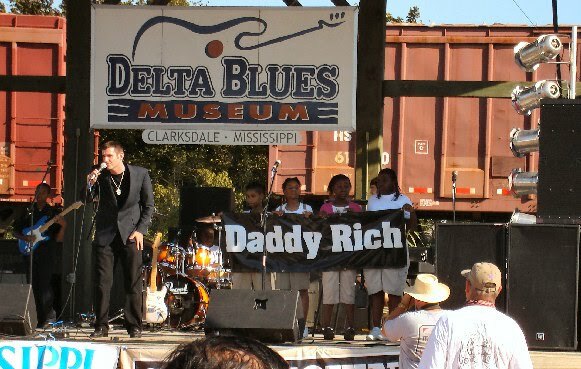 $DADDY RICH$ 1st SHOW since return to Clarksdale! $DADDY RICH$ wins first round! On to the IBC 's in Memphis ! FREE DOWNLOAD to New $DR$ Remix of "Crazy Dream"
GROUND ZERO live on the NET !!! STOPain visit: www.stopain.com STOP the PAIN!!! !